Are you stressed as we approach the end of the school year? I know this time gets pretty crazy at my house! 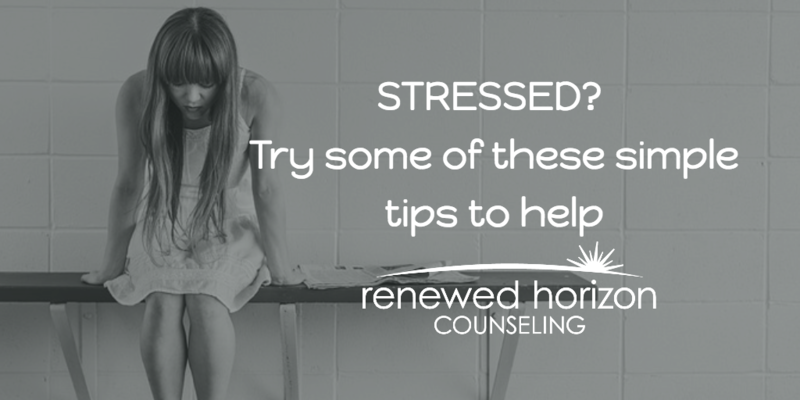 If it is a stressful time for you, it’s time to find simple ways to decrease stress. Stress comes in all forms and is an unavoidable part of life. Ideally the best thing would be to eliminate as much as you can, but when stubborn stress keeps sticking around, there certainly are ways to cope with it. Check these out and pick several that seem doable to implement into your day to day life. Breathe deeply!- An instant stress relief! Live your life by the Serenity Prayer- God, Grant me the serenity to accept the things I cannot change, the courage to change the things I can, and the wisdom to know the difference. Learn to say “No” and don’t feel guilty when you do! Some of these will take a little planning, but many are easy to do at a moments notice. If it’s a crazy time for you, it’s time to decrease stress making several of these part of your weekly routine!